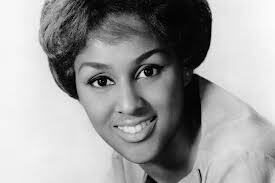 Darlene Love was born Darlene Wright on July 26, 1938 in Los Angeles, California. Not only was she the lead singer of The Blossoms, a great group of backup singers, she also sang lead vocal on two songs credited to The Crystals but actually Darlene with The Blossoms - He's A Rebel and He's Sure The Boy I Love. She also sang with Bob B. Soxx & The Blue Jeans. Her voice is synonymous with the sound of the Girl Groups of the 1960s and her annual appearances on Late Night With David Letterman performing Christmas (Baby Please Come Home) became legendary. Next week on Treasure Island Oldies, Voice Your Choice presents the amazing Darlene Love. Cast your vote at the Voice Your Choice page for either A Fine Fine Boy or Today I Met The Boy I'm Gonna Marry. I'll play the winner on next week's show.